A casual project centred around breeding "Targaryens" (inbred bloodscales). You can hoard them, breed them, spread them through the AP - basically anything you desire! If the Targaryens aren't your thing, you could also choose to support their enemies, the Blackfyres - but we'll get to them later. To conquer Dragon Cave by force, spreading Targaryen eggs to every corner of the world; and to create the single most inbred line in DC history. Any other houses that dare rise up against us must be subjugated or eliminated, for only the pure-blooded Targaryens are fit to rule. Recently an alternate line of Targaryens has been discovered. 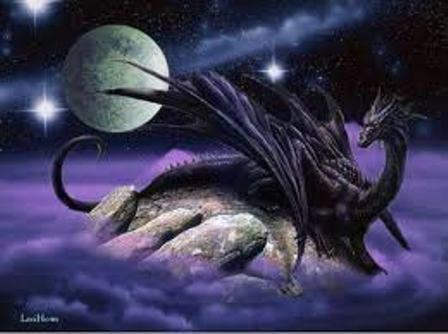 These dragons are typically larger and more powerful than their cousins and are descended from Lord Gaemon Targaryen and Daenys the Dreamer, NOT King Aegon and the Queens. Alt line Targaryens are only found on special occasions such as birthdays, so if you have a birthday coming up, post about it! You may discover an alt of your own soon afterwards. Please note that alt line Targaryens are acknowledged by the King, but due to their elusive nature, they do NOT have a breeding list. Simply fill out one of the following forms! Those are the basics, but if you're still confused then feel free to post or PM this account or a Mod. Each breeder's forum name is next to their pair. The name will link to their PM if they'd like to be contacted that way. Otherwise, you may contact them through this thread. Note that if you don't PM a breeder regarding your request, you may end up waiting for a while. If someone is marked as inactive, it means they haven't posted in over a month. If you've been marked as inactive and would like to change that, either post or PM a mod. Note that inactivity is by no means a punishable thing; it's just marked here so that breeders don't try to send eggs to people that can't accept them, and so that people don't send requests to breeders who won't respond. If a breeder confirms that they are no longer breeding their pair(s), they will be removed from this list and stored in a separate document. If you had your pair(s) removed from the list and want to put them back, PM this account or one of the mods. Some users have confirmed they will only breed via PM requests and are no longer checking the thread. If you wish for an egg from a breeding pair from one of them, you must PM them. These breeders are: Zeditha, Ace1362, Tigerkralle. These breeders will not be marked as inactive unless there have been complaints of them not answering PMs for extended periods of time. Removed breeding pairs and egg requests are saved here. To use them, copy/paste the code into your signature and remove the asterisks. And feel free to post or PM me your own banner design. I'll add it to the list! With the Targaryens rapidly gaining control of Galsreim, they were bound to make a few enemies. However, none of them suspected that their greatest foe would be of their own blood. It started with a secret relationship between Queen Rhaenys and a petty lord whose name has since been lost; many call him Lord Blackfyre. When Rhaenys discovered she was pregnant with the lord's egg, she went to great pains to hide it from King Aegon. After the egg was born she convinced her daughter Alyssa to pretend it was hers. As soon as it hatched, Rhaenys and Alyssa begged Aegon to legitimize it, and after much hesitation, he did so. The hatchling, named Daemon Blackfyre, was given a sizeable plot of land to rule in solitude. He, however, had other plans. As he grew older, Daemon became jealous of the luxury and power reserved for full-blooded Targaryens. Once he'd built up enough troops and supplies he launched a long and bitter war known as the Blackfyre Rebellion in an attempt to overthrow them. The Targaryens, who were completely caught off guard, were unable to rally and stop him until he'd conquered a huge portion of their territory. The houses are now caught in the middle of a massive war, with the Blackfyres trying to poison the Targaryen line with their hooktalon blood and the Targaryens trying desperately to keep themselves pure. 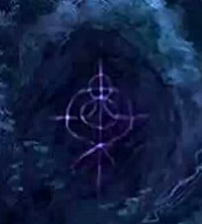 What are the Blackfyres' goals? 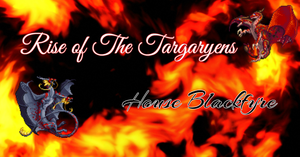 House Blackfyre wants to destroy House Targaryen at all costs. In addition to killing the pureblooded Targaryens, this involves increasing the number of Blackfyres and poisoning the enemy line by breeding with them. Their plans crawl closer to fruition with each corrupted hooktalon and bloodscale hatchling they produce. A counter at the bottom of this post will show who's winning by displaying the current number of "points." Blackfyres favour negative points and Targaryens favour positive. Simply fill out one of the following forms! Note that because hooktalons are a common breed, it may be a while until they lay any bloodscale eggs. Because of this, if you request two eggs, there's a chance they'll both be the same breed. If this bothers you, say that you want one of your eggs to be a bloodscale in the "other" section of the form. If not, leave it blank. Those are the basics, but if you're still confused then feel free to post or PM a mod. The Targaryens have the throne! Each breeder's forum name is right next to their pair. The name will link to their PM if they'd like to be contacted that way. Otherwise, you may contact them through this thread. If someone is marked as inactive, it means they haven't posted in over a week. If you've been marked as inactive and would like to change that either post or PM Avarule. Note that inactivity is by no means a punishable thing. It's just marked here so that breeders don't try to send eggs to people that can't accept them, and so that people don't send requests to breeders who won't respond. The new thread is now open! I am on the waiting list for a second gen from King Aegon and Queen Visenya but can i also be on the waiting list for another generation? Yes, you absolutely can. The maximum amount of generations you can be on for is 3. 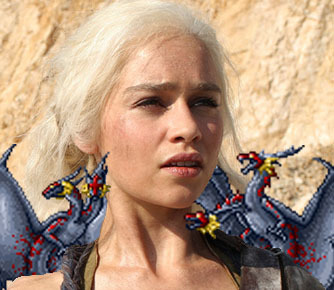 I am fighting already with the Targaryens! There is no form for veterans to be put on the list of another pair. Just for completing breeding pairs. ETA: I like the forms. Oh shoot, you're right. I could have sworn there was one. Sorry, I'll add it ASAP. EDIT: It's been added and your requests are on the list! i'll be egg locked for a few more days, but after that i'll be ready to receive the eggs i asked for. I woud like to be a mod! I have this project in my subscriptions, so im always keeping up with it. I really love dragons, dragcave, and this community, and I love this project too! I'm online at least everyday (though my activity willl be super low for the next week or so) and check in often. I find myself to be literate (poor grammar now is from this crappy phone) and fair, and as a member of jrotc I am learning and have already been asked to be a leader. I can guide, as well as listen, and would like to better improve my leadership skills. I would love to contribute to the Targaryen Project. Thank you for applying! I'll wait a week or so before choosing anyone and will post the selected people here when the time comes. How you would like to be contacted: PM or post! PM works best, I always notice that but not always the thread. I figured since these two weren't on the list I'd add them. I think the new Hooktalon dragons would look awesome with Bloodscales. I'm going to set up an inbred lineage with the two CBs I caught, and breed them with the Targaryens. I might even make them a checker, using the 2nd gen pair I'll hopefully get from the new CB pair. I don't expect this Hooktalon inbred lineage to be considered part of the lineage, but I'll report all the babies here, without the form, as side-note updates on regular Targaryen reports. Their family name will be Fanghook, in honour of a particular episode of a series I like. Haha, my thoughts exactly. One of my Hooktalons just grew up and I thought "Ooooh they'd look awesome with Bloodscales!" I think SherlockedWhovian got an egg, I sent them a PM with a teleport a couple of days ago, and the egg isn't on my scroll anymore Haven't heard from them tho. Im pretty sure SherlockedWhovian got one of my eggs too. It vanished after they said they were egglocked, but they could be the only one to have it. I forgot that I don't need any more eggs from Osofpi and Oucfim, so I bred them. Anyone want the egg? - EDIT: Taken by Tigerkralle. Also, I would like to apply to be a thread moderator. Since I forgot to mention it, the two Fanghooks are Yayzip and Wemaj. House Blackfyre was a cadet branch of House Targaryen, founded by Daemon Blackfyre, a natural born son of King Aegon IV Targaryen, following his legitimization. Their sigil was a black three-headed dragon on a red field, the reversal of the Targaryen heraldry. I forgot that I don't need any more eggs from Osofpi and Oucfim, so I bred them. Anyone want the egg? Zeditha, i requested this egg. Thankfully Plated Colossi are not rare and i was able to abandon my CB i can get another for my freezing collection. I can be removed from the waiting list for Osofpi and Oucfim. Tk, if you would like me to find a Colossus to replace the one you had to abandon, I would be happy to. If you want to do that feel free. I just need a gendered Plated Colossus hatchling for freezing. The next eggslot is for an egg that i have to pick up. Now i have to wait for the eggs before i can announce the new Targaryens. So one of me Reds came out of cooldown. One slot is free. Gender: I'm allowing to gender naturally, will update when I know.